Marjorie L. Anderson, age 89 of Grand Haven, passed away Wednesday, October 24, 2018 at Heartwood Lodge. She was born on May 16, 1929 in Fremont, MI to the late Guy and Nettie (Rattin) Mast. She married Donald Anderson on April 8, 1950 in White Cloud, MI. Marjorie worked as a secretary for Ottawa Area Intermediate School District for 31 years, and was a long time realtor for Clyde Hendrick Realty Co. She lived in Englewood, Florida until 1997 when she moved back to the Grand Haven area. 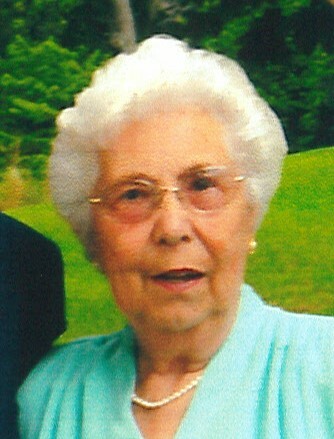 Marjorie was a former member of St. John’s Lutheran Church of Grand Haven and Englewood Methodist Church. She loved boating, gardening, baking, and spending time with her family; especially her grandchildren and great-grandchildren. Marjorie will be lovingly remembered and missed by her husband of 68 years, Donald; daughter, Sharon (Jim) McCann of Jackson, MI; five grandchildren; 11 great-grandchildren; brother, Roger Mast; and several cousins. She was preceded in death by her sister, Barbara Nelson. A Private Memorial Gathering will take place at a later date. Interment will be at Grand Haven Twp. Historical Cemetery. In lieu of flowers, please direct Memorial Contributions to Grand Haven Area Community Foundation.